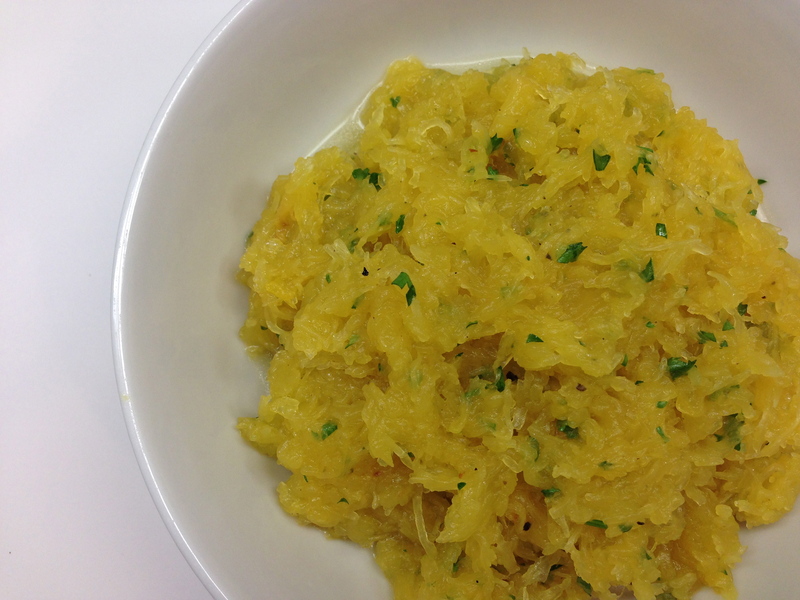 The hardest thing about making this vegetable side dish in cutting the spaghetti squash in half! This recipe has a light lemony taste! Preheat oven to 425 degrees. Using 2 tablespoons sunflower oil, drizzle the flesh side of squash and season with salt and pepper. On a rimmed baking sheet lined with parchment paper, place squash flesh side down. Roast for about one hour or until squash is tender, when pierced with fork. After the squash has cooled, gently scrape the squash with a fork to remove flesh in long strands. Add lemon juice and parsley. Add more salt to taste. Sprinkle with Parmesan cheese if desired. Serves 4. Thanks for the following! What a coincidence, I have just bought a spaghetti squash today and they’re so hard to find! Enjoying your blog. I’ve been only blogging for two months and it has opened a whole new world to me. I know what you mean. It’s such a feel good process to write and post, so simple yet so rewarding!